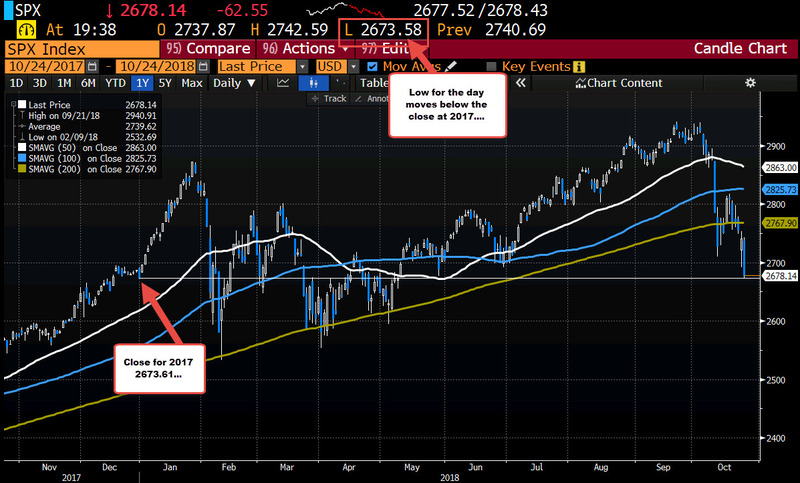 The S&P index and Dow has moved back to unchanged on the year. For the Dow, the index closed at 24719.22. The low just reached 24713.19. Both indices are seeing a little bounce as traders stick a toe in the water. 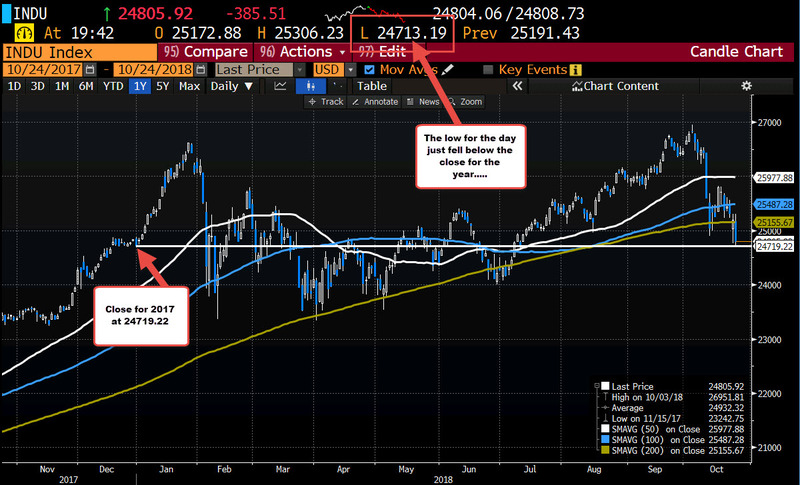 The Nasdaq closed 2017 at 6903.39. The index currently trades at 7161.55. We are current 258 points from that B/E level. However, with the index down -275 points currently, we are really not that far away.